The starting point for Second nature is a research on the artificial hills of Germany, where several cities had their topography redesigned in the post-war period. 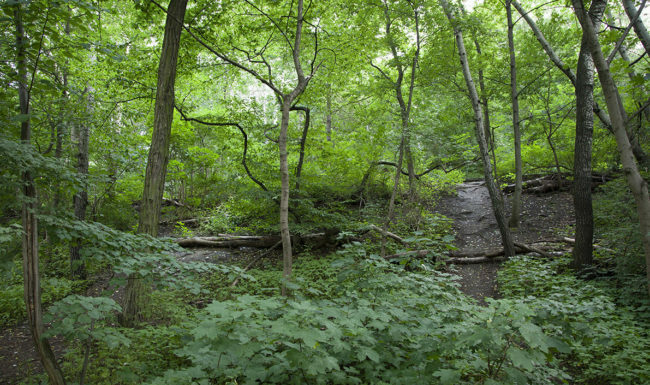 Ruins and debris were used to create artificial hills, which were soon covered in vegetation and turned into parks. A few decades later, this process has created a new ecosystem, which is now a natural-looking formation. 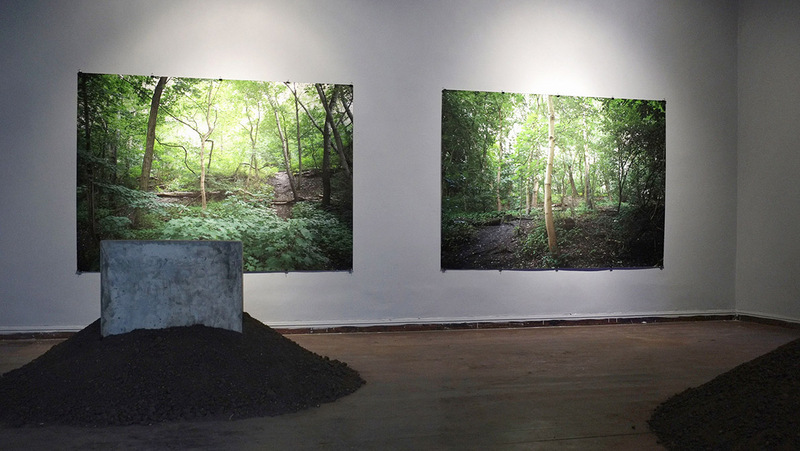 Photographs of these parks built on artificial hills are displayed next to blocks of concrete. These pieces reproduce, to scale, the architectural structure of two buildings that bear the same name: the Malakoff Tower (built with materials from the old Forte do Bom Jesus in Recife) and the Malakoff Building in Porto Alegre (the city’s first skyscraper, which was demolished decades ago), both located in Brazil. The concrete blocks are covered with black soil. While part of the shape is still visible, the layer of soil suggests that a newfound nature is starting to form over these structures. 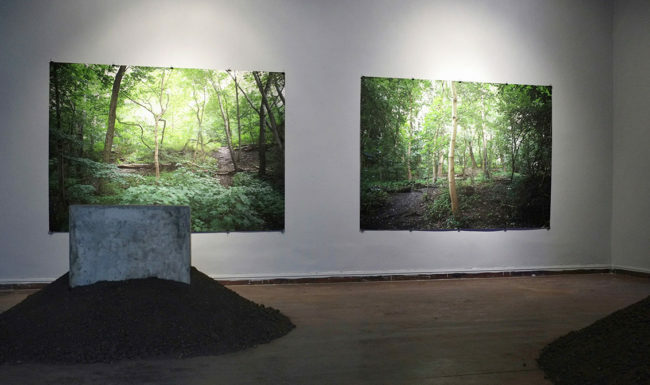 Three photographs measuring 120 x 220cm from parks that were constructed on the surface of artificial mountains, concrete blocks reproducing the basic structures of two buildings (the Malakoff Building in Porto Alegre and Malakoff Tour in Recife) partially covered with black soil. Many cities in Germany had their topographies redrawn after the II World War, when ruins and debris were replaced and used to build artificial mounds. 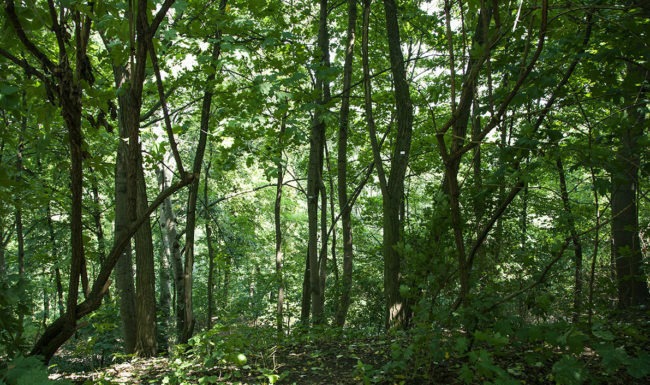 These places were projected to become parks, having their surfaces covered with soil and vegetation. After some decades, this rearrangement process shaped a new ecosystem. 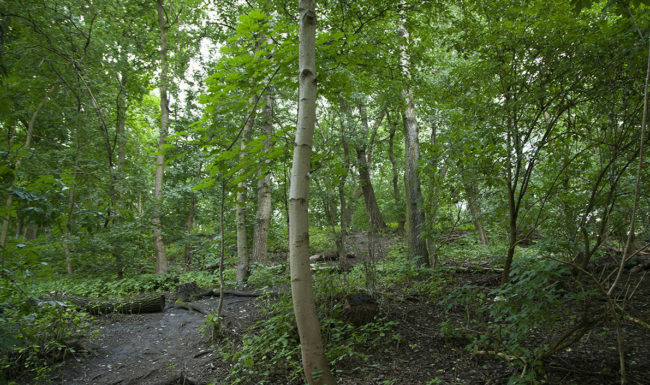 Nowadays these areas have a native nature appearance. 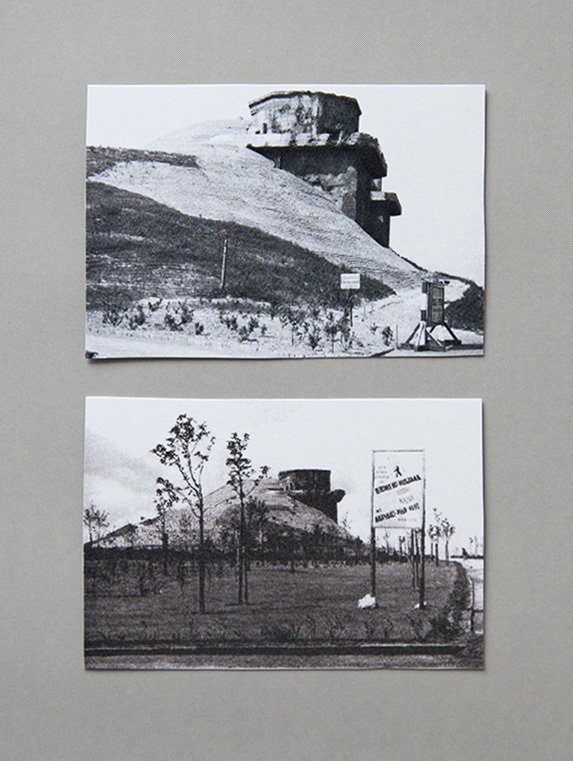 In the city of Berlin, the artificial hills have a particular aspect: many of them were built over pre-existing bunkers that could not be destroyed because of its solid construction. Because of that, it is still possible to spot parts of the bunkers amidst the artificial mountains. 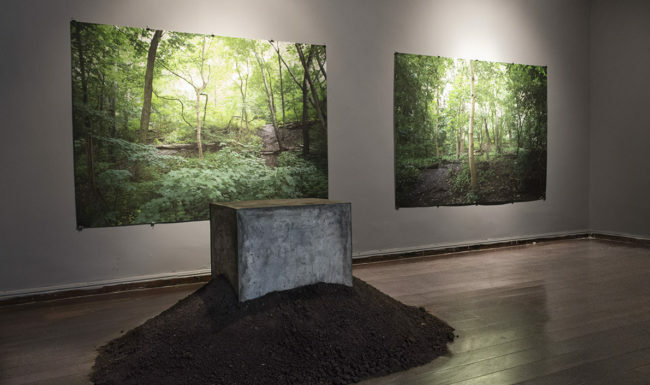 What was initiated with a solid construction with strong symbolic power, ended up being a sort of new nature, simulating an untouched environment. Photographs by Hassan Santos and Nelson Azevedo. 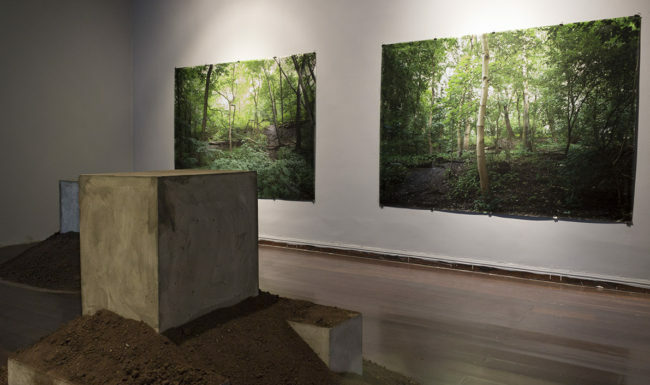 Photographs taken in the group exhibition A cidade, as ruínas e depois (The city, the ruins and aftermath), a project granted by FUNARTE Arte Contemporânea Espaço Norte/Nordeste 2015.